November 1, 2017: Open enrollment starts. If you need new coverage you will be able to shop and enroll in a new plan starting on this date. December 15, 2017: Deadline to submit an application for a health insurance policy. If you did not submit your application for a health insurance plan or confirm that you are renewing your old policy by this date, you may be taxed for not complying with the law. Your insurance policy will begin on January 1st. If you don’t enroll by this deadline you will not be able to enroll again until the next open enrollment period on November 2018 unless you have a special qualifying life event that allows you to enroll in a plan outside of the enrollment period. Examples of qualifying life events might be if you move to a new state and your plan isn’t offered there, you get divorced and lose the plan you had through your spouse, you turn 26 years old and can no longer be on your parent’s plan or you lose the coverage you had from your employer. Under the law, the fine for not having health insurance is $695 per uninsured adult and $347.50 per uninsured child in the family or 2.5% of the adjusted household income, whichever amount is higher. If an individual or family earns under a certain amount of money, they can enroll in their state’s Medicaid or CHIP (Children’s Health Insurance Program) healthcare plan. There is no open enrollment period for Medicaid or CHIP and people can apply whenever they become eligible. For information on 2016 Open Enrollment deadlines go here. Potential Risks Loom As The Final Deadline Approaches. January 31st marks the last day for the 2016 Open Enrollment Period (OEP), enabling Americans to purchase compliant health insurance. As of Jan. 20, 2016, an estimated 8.8 million people living in the 38 states using the federal Marketplace, HealthCare.gov, have purchased plans. This is in addition to the 2.7 million utilizing state-run exchanges, for an impressive total of about11.5 million purchased plans. For those who do miss the deadline, the possible outcomes include serious tax penalties, which have increased since 2015. You may also find yourself stuck with lower-quality policies — or none at all. Here is some more information for those missing the 11:59 p.m., Jan. 31, 2016 enrollment deadline. 1.) Tax penalties – Failing to enroll could mean substantial IRS-imposed tax penalties, although hardship exemptions may be available. But should you have to pay, you’re looking at the greater of: $695 per adult and $347.50 per child, for a maximum of $2,085 per family; in 2015, these were $325 and $162.50, respectively; or, 2.5 percent of your income above the tax filing threshold, compared to 2015’s 2 percent. SEPs usually begin 60 days after a QLE, but consumers may enroll up to 60 days before, preventing any coverage gaps. However rules are stricter for 2016 so consumer’s should attempt to enroll during the OEP to avoid any issues. 3.) Short-term health insurance – Short-term (or temporary) policies offer less-expensive, temporary (1-12 months) coverage. ACA-compliant plans must cover at least the 10 Essential Health Benefits, while short-term plans only cover emergencies (and not pre-existing conditions). They do not meet the ACA’s standards, so you would still face tax penalties. They’re are not eligible for subsidies and there may be coverage gaps. 4.) Self-pay – Paying out of pocket for medical expenses means being hit by tax penalties, as well as paying a lot of money. For example, the average three-day hospital stay costs about $30,000, while broken leg treatment could be as high as $7,500. For those consumers failing to purchase Affordable Care Act (ACA)-compliant health insurance plans during the Open Enrollment Period (OEP), there is hope. The Centers for Medicare and Medicaid Services (CMS) may offer an extension outside of the OEP’s Nov. 1, 2015-Jan. 31, 2016 window. These Special Enrollment Periods (SEPs) provide beneficiaries with additional time to select coverage, thereby avoiding expensive tax penalties. 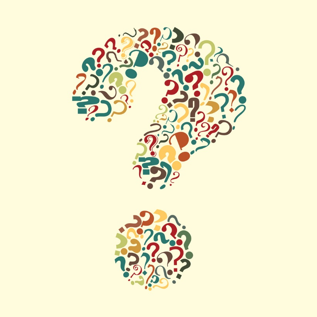 Individuals may also qualify for their own SEPs, at any time, should they experience Qualifying Life Events; these are life changes, such as marriage, childbirth or relocation. During the last SEP, which ran from Feb. 23 through June 30, 2015, about 944,000 beneficiaries enrolled through the the Federal Marketplace. Despite this, the government recently made major SEP-related changes, concerning their definitions and rules. To better educate consumers, brokers and issuers about possible SEP-related abuses, the CMS sought to improve the definition of certain eligibility guidelines. In particular, the agency released information concerning the SEP designed for those consumers who had permanently moved, thereby gaining access to new coverage. The CMS wanted to let it be known that these relocated consumers cannot use the SEP for short-term or temporary moves. It was thought that these people wouldn’t remain in these new locations. 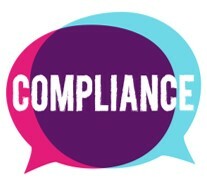 Finally, the CMS addressed the enforcement and understanding of SEP rules and requirements. As such, the CMS is conducting an assessment to check if consumers that purchased policies during SEPs followed the rules. The CMS will review samples of nationwide consumer records. The agency feels that these efforts will assist in future planning and improvements. Another initiative is for Healthcare.gov applicants to provide accurate information. Those who intentionally provide false or untrue information may be subject to penalties under federal law. Jan. 31, 2016 is the last day of the Open Enrollment Period (OEP), enabling Americans to purchase Affordable Care Act (ACA)-compliant health insurance. As of Jan. 2, 2016, 11.3 million have enrolled in coverage in all 50 states and the District of Columbia. This marks the OEP’s first calculation for nationwide enrollment. As of Dec. 26, 2016, the Department of Health and Human Services (HHS) reported that almost 4 million key young adults under 35 years old had enrolled; about 770,000 between 18 and 34 years old were new enrollees. 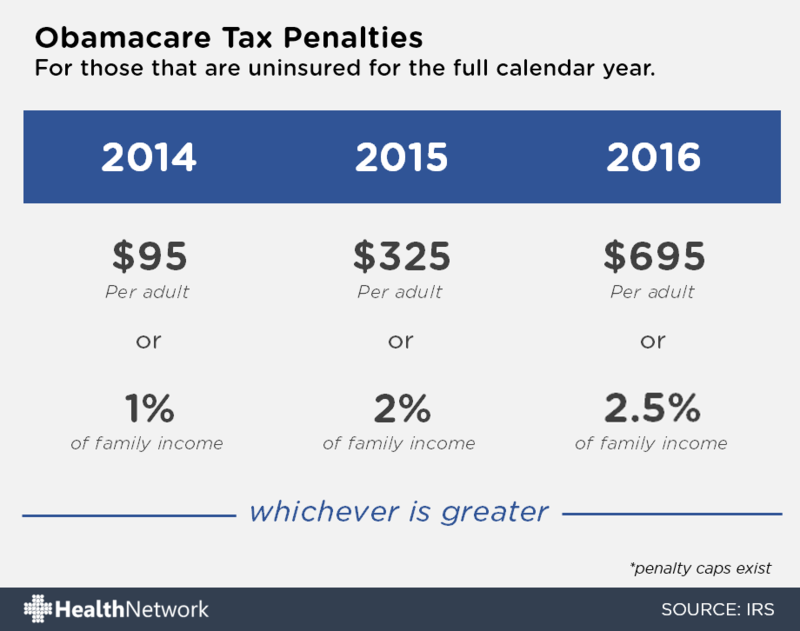 Premiums for the “silver” plan, the ACA’s benchmark and the second-cheapest option, will only increase by 7.5 percent in 2016, compared to 2015. And this is before any potential tax credits; on average, policies should cost less than $100 a month. Although ACA enrollment is up, more than 147 million Americans are covered through their employers. The ACA’s employer mandate requires employers with 50 or more full-time employees to provide at least the equivalent of a “bronze” exchange plan (covering 60 percent of expenses), or they face a per-employee fine. The mandate requires employees to work 30 hours or more each week. But while some employers may cut workers’ hours, the improved job market is making them rethink this. Some also offer better insurance options, rather than increase wages. Employer-based insurance may be affected by the “Cadillac tax.” This is a 40 percent tax on high-value, employer-based health benefits above a certain threshold. Formerly set to begin in 2018, it’s now been pushed back to 2020. If employers try to provide different benefits to save money, workers may begin exploring Obamacare. Among the “Big 5” health insurance companies, Aetna may merge with Humana, while Anthem may merge with Cigna. Meanwhile, the final member of the Big 5, UnitedHealth Group, revealed that they may leave the insurance exchanges in 2017. Experts believe that fewer firms available may mean higher plan premiums. The issue of expanding Medicaid, the joint federal-state social program for low-income Americans, is also impacting the ACA. Originally, all states were required to expand Medicaid to include childless adults just above the Federal Poverty Line (FPL). But in 2012, the U.S. Supreme Court left the decision up to individual states. In those states that have not expanded, 3.1 million poor uninsured adults will likely remain uninsured. They also can’t enroll in the Marketplace, as they do not earn enough to qualify for tax credits. 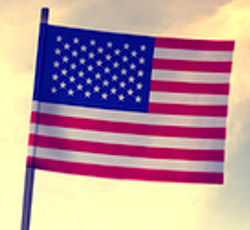 Update 1/8: HHS announced yesterday that 11.3 million Americans enrolled across all 50 states. The report also shows that 83% of all applicants received a government subsidy to help lower the cost of their insurance and the average subsidy was $297 per person, per month. The latest enrollment figures released today by government officials show that it’s definitely a happy new year for the Affordable Care Act (ACA). For this latest Open Enrollment Period, more than 8.5 million Americans had enrolled through the government’s Federal Marketplace. This includes about 6 million plan renewals, indicating that the healthcare law is exceeding expectations. In fact, this current rate of sign-ups has boosted total enrollment numbers to as much as 14.7 million ACA enrollees by the end of 2016; this compares to last year’s 9.1 million. For Week 8 of this OEP (Dec. 20-26, 2015), the Centers for Medicare and Medicaid Services (CMS) recorded 274,659 plan selections. Of these, 27 percent were new enrollees, while 73 percent were plan renewals. 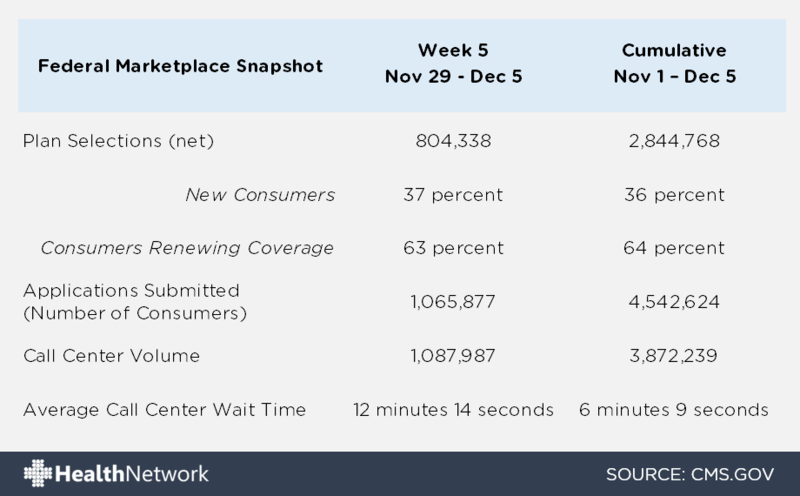 In total, since the OEP’s Nov. 1 start, the CMS has tallied a total of 8,524,935 enrollees; this includes an estimated 6 million Marketplace plan renewals. Of these, 2.4 million were automatically renewed and another 3.6 million physically enrolled through the Marketplace. The agency’s research also showed that by shopping for new Marketplace plans with the same coverage level, existing enrollees could save up to $600 a year. To encourage transparency and accuracy, the CMS releases Open Enrollment snapshots, which are weekly, updated estimates of the ACA’s plan selections for the HealthCare.gov platform. These snapshots are used for those 38 states utilizing the Federally facilitated, State Partnership and State-based Marketplaces. They incorporate the CMS’ call center activity, and visits to its official federal websites: Healthcare.gov and CuidadoDeSalud.gov (for Spanish speakers). 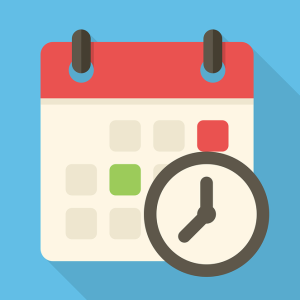 These snapshots help enrollees stay aware of mandatory Open Enrollment deadlines. For those consumers failing to enroll by Jan. 31, 2016, tax penalties may be required. If so, they may face the greater of: $695 per adult and $347.50 per child, for a maximum of $2,085 per family; or, 2.5 percent of income above the tax filing threshold. But the CMS states that enrollees may change or cancel their plan coverage. And, the snapshots factor in plan selections, not actual paid premiums, which activate policies. Obamacare Deadline to Enroll in Health Insurance with Jan 1 Start Date – Extended! 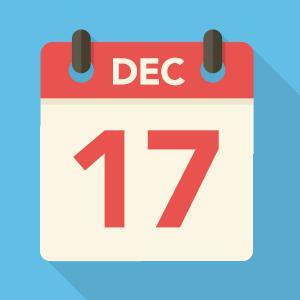 The government announced on December 15th, late in the evening, that the deadline to apply for an insurance plan that will begin on Jan 1st is now December 17th. The reason for the extension is clear – millions of consumers who tried to enroll in a health insurance plan either through the Federal Marketplace or through brokers and agents online or on the phone, were met with very long wait lines. The government attributes this simply to the overwhelming number of Americans who came out to grab new health insurance plans for the New Year. This new deadline, which is also called “Special Enrollment Period” or SEP, only applies to people who live in a state that uses the Federal Marketplace. If you live in a state that runs its own State Exchange, you may also have an extension to enroll in a plan with a January 1st start date. You can check the here for more information on those eligible states. If you still need health insurance coverage or still want to switch to a new plan that will start on Jan 1, you can enroll directly on the Federal Marketplace or State Exchange, or you can enroll through a private health insurance marketplace, either online or on the phone. The CBO (Congressional Budget Office) originally estimated that more than 20 million people would enroll in health insurance during the 2016 Open Enrollment Period. If the wait lines during this enrollment period’s first major deadline are any indication, those estimates may be met, if not surpassed. As to why so many people need health insurance and are enrolling during the 2016 Open Enrollment Period, it’s anyone’s guess. Many people speculate that the introduction and exit of a number of health insurance carriers and the plans they offer may be a big reason why people would find themselves either totally without coverage at the start of the 2016 calendar year, or curious whether there was a plan and a carrier that would be more affordable and that would better meeting their family’s medical needs than the plan they currently had and ready to shop and enroll in a new plan. UPDATE (Dec 17): CMS just released its latest estimates for the 2016 OEP enrollment. The updated figures show that about 6 million people had purchased plans through the Federal Marketplace. By this point in 2014, only 3.4 million had signed up. In addition, the agency found that 2.4 million of these plan purchases were from new, previously uninsured consumers; this is one-third higher than 2014’s rate. Faced with a wave of consumer demand, the Centers for Medicare & Medicaid Services (CMS) announced an extension for a key 2016 Open Enrollment Period (OEP) deadline. Previously, for plans to begin on Jan. 1, 2016, enrolment had to be completed by Dec. 15, 2015. But this extension moved the deadline to 11:59 p.m. (PST) on Dec. 17, providing new and existing consumers with additional time to make their plan selections. This was essential, as Week 6 (Dec. 6-12) alone saw more than 1.3 million Americans enroll in plans – including 500,000 new consumers — through the Federal Marketplace and CuidadoDeSalud.gov (for Spanish speakers). In total, 4,171,714 million Americans signed up by this point. Beyond the extension, the CMS encouraged consumers to contact their call centers or use their websites. These efforts seem to be paying off, as by Dec. 15, hundreds of thousands had selected plans. Another million consumers left their contact information to reserve their places in line. The CMS’ weekly Open Enrollment snapshots provide updated estimates of plan selections, call center activity and website visits. These figures may vary, due to plan changes or cancellations involving life changes (e.g., marriage, divorce, childbirth). Additionally, the snapshots factor in new plan selections, active plan renewals and auto-renewals, not the number of consumers paying their premiums. The Dec. 15 deadline only applied to certain states utilizing the Federally-facilitated Marketplaces. A number of state-run exchanges have their own enrollment extensions for coverage to begin on Jan. 1, 2016. And, in some states, specific health insurance carriers offer members their own extensions. “We’re obviously pleased,” said Andy Slavitt, the CMS’ acting administrator. 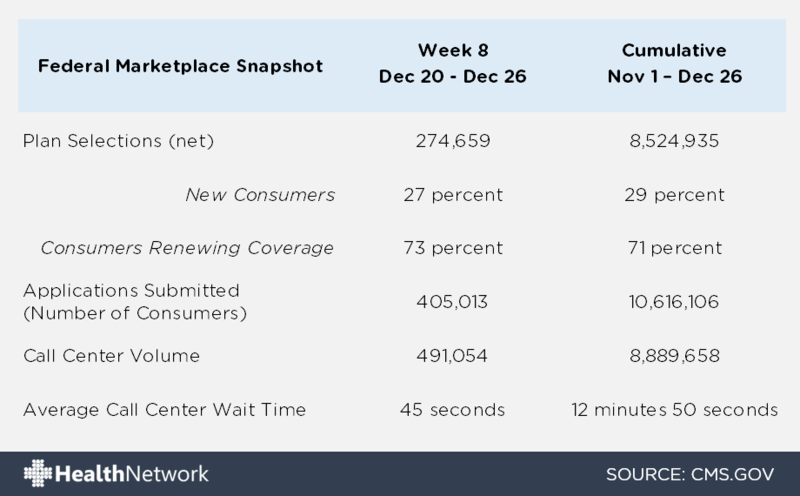 “It’s clear now that many people have been waiting to purchase coverage until this enrollment cycle.” These enrollment numbers will further increase, as many existing consumers’ plans are automatically re-enrolled for 2016. In addition, the updated figures don’t include the enrollment numbers for state-run exchanges and the District of Columbia. The latest Centers for Medicare & Medicaid Services (CMS) research shows that by the OEP’s fifth week, 2.84 million people have enrolled in health coverage. While this figure is lower than 2015, it only includes those 37 states utilizing the federal Marketplace. Consumers using state-run exchanges (and the District of Columbia) and private insurance customers are not yet factored in. As such, 2016 OEP enrollment figures should increase, with a total of 14.7 million enrollees, compared to 2015’s 9.1 million. The ACA was developed to ensure that people had convenient and affordable access to health coverage. But while the latest numbers are positive, many beneficiaries have yet to purchase plans, and they’re running out of time. Yes, the 2016 OEP officially ends on Jan. 31, 2016. But enrolling by Dec. 15, 2015 ensures your coverage starts on Jan. 1, 2016. If you enroll between Dec. 16, 2015 and Jan. 15, 2016, your coverage will begin on Feb. 1, 2016. And, if you enroll from Jan. 16-31, 2106, your coverage will begin on March 1, 2016. However, these deadlines only apply to those people who want to: 1.) enroll in a new plan, or 2.) make changes to an existing plan. If you’re satisfied with your current coverage, you don’t have to take any action. Instead, you’ll be automatically enrolled in the same plan after Dec. 15, 2015. November 1, 2015: Open Enrollment starts. Enroll or change your coverage here. December 15, 2015: Deadline to have coverage that begins on January 1, 2016 (if you apply on December 16 you’re coverage will most likely not start until February 1). December 31, 2015: Coverage ends for 2015 plans. You will be auto-renewed if you don’t change your plan. January 31, 2016: This is the last day you can apply for 2016 coverage before the end of Open Enrollment. If you miss this window you cannot enroll until the Marketplace re-opens in November 2016 unless you have a special “life event” such as having a baby or losing your job. You’ll also be just to a fine of 2.5% of your income or $695 per adult, whichever is greater. Individuals and children living in poverty can enroll at anytime in Medicaid or the Children’s Health Insurance Program (CHIP). There is no enrollment period for these programs, but there are a income restrictions and a number of other qualifiers. For information on 2015 Open Enrollment deadlines go here. Is There a Down Side to Having More Options When it Comes to Healthcare? The primary care physician has always been the backbone of healthcare in America, but there clearly has been a shift in the delivery of healthcare today. Big Box stores, drugstores, urgent care centers, house calls, telemedicine, and Smartphone apps have all changed the manner in how Americans are managing their healthcare today. There is no doubt these new healthcare models have made basic, non-emergency care more accessible and even more affordable for most patients. But, is the cost or the convenience worth the loss of the doctor-patient bond that for the most part seems to be the true price of these healthcare options? There has been a decline in the number of primary care doctors for about the last decade, adding to the shortage is the inception of Obamacare which has accelerated that decline due to the increased number of people who now have health insurance. It’s kind of been like the perfect storm, as the older primary care doctors have been retiring the younger doctors have been specializing, all of which has led to the dwindling number of primary care physicians available to treat a growing number of patients. With a true shortage of primary care doctors available, and the problem growing, the healthcare industry began to innovate. Most of these innovations are seen as having a positive influence on healthcare, particularly among younger patients who are very tech savvy and tend to feel more empowered when they have more control and options available to them, often at lower prices. But, for older patients who are used to having a more intimate relationship with their healthcare providers and typically dealing with more than one serious chronic illness, these changes are not necessarily welcome. However, proponents of the new healthcare models say there are enough options available to accommodate everyone. For example, for the patients who prefer a primary care physician who knows their medical history, tracks, monitors and controls all of their care, the concierge care model being offered may be the route to go. Concierge care typically involves the patient paying an annual retainer fee (usually in excess of $1,000.00 dollars) for what is now considered extra services not typically covered by insurance. These extra services may include more in depth visits with the primary care doctor (longer office visit), after office hours access, and a complete in-depth annual physical. The price tag may seem hefty, especially to older patients who remember when “concierge care” used to be the standard of care during their lifetime, but for those with multiple chronic disease care needs the cost may be a necessary expense they choose to absorb. However, not all older patients are able to afford concierge care, so what is their alternative? Doctors who make house calls may be an alternative for older patients dealing with chronic disease care that still want that one on one relationship with a doctor who knows them and their medical history. The in-house care being provided by doctors making house calls is filling the gap for many seniors who are not tech savvy and quite frankly never will be. It also allows them to remain in their comfort zone knowing they have a personal relationship with a doctor who takes the time to listen to them, perform and monitor routine diagnostic tests and coordinate their care when more intensive tests or treatments are needed. House call care is typically covered by Medicare so there are no extraneous costs involved for the patient. An added incentive to house calls is there is no waiting in line in a crowded doctors office filled with sick people, seniors often have weakened immune systems due to chronic illnesses they already have, so not being exposed to a host of germs is a big plus factor. Also mobility can become a factor for the elderly, so being seen by their doctor in the comfortable surroundings of their own home often makes the patient more comfortable in talking to the doctor about what their health issues really are. As time goes forward more and more people are expected to become more in charge of their own healthcare, many may not even see the need to leave their home when it comes to basic healthcare by utilizing the many healthcare options that are now available to them. Why go to a clinic, drugstore or Big Box retailer when you can simply have a $49.00 dollar telemedicine consultation with a doctor on your Smartphone, computer, or tablet with a click of an app? For those who are not quite ready to take the telemedicine leap, urgent care centers, Big Box retailers, grocery store chains and drugstores still offer face-to-face care at their clinics for about $30.00 dollars less than a primary care physician’s office visit would cost a patient who is paying in cash, check or credit card. Today’s smorgasbord of healthcare options has something for everyone whether you’re privately insured or on Medicare or Medicaid there’s a healthcare model for you.